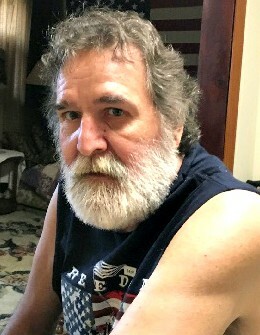 Obituary for Gary A. Yercine | Castle Hill Funeral Home, LLC. Gary A. Yercine, age 63, of Hammond, Indiana passed away October 16, 2018. He is survived by his sisters and brother: Elaine (Ferlin) Hunt, Cheryl Bieber and Jeffrey (Starra) Yercine; son Nicholas Bonnee; nieces and nephews: Ronald (Candace), Lois (Randy), Jennifer (Jacob), Gary (Terra) and Jimmie; special friends: Dianne Bonnee, Glenda and Jona King, Barbara and Jim Shepherd. Gary was preceded in death by his parents James and Lois (nee Edgington) Yercine and brother John. Family and friends are invited to celebrate his life on Monday, October 22, 2018 with a service at 6:00 p.m. at Castle Hill Funeral Home: 1219 Sheffield Avenue, Dyer, IN 46311. Visitation from 4:00 p.m. until time of services at the funeral home. Gary loved fishing, camping and his beloved dogs. For information (219)864-0170 or visit castlehillfuneralhome.com for online guestbook.